Eeee so Christmas Day is literally just a couple of days away and, as you can totally tell from my previous posts, I’m pretty excited. It’s definitely no secret that I properly love Christmas! It’s been a pretty long, difficult year (mainly thanks to Brexit and Trump) so your merry Christmas Day outfit is a real opportunity to bring a little comfort and joy - mainly through wearing something that feels just as good as it looks. As everyone in my family’s grown up our Christmas Day outfits have developed from super casual and super cosy to dressy. Dressing for a delish Christmas dinner and finding the right outfit has become something that my sister and I Whatsapp over now. 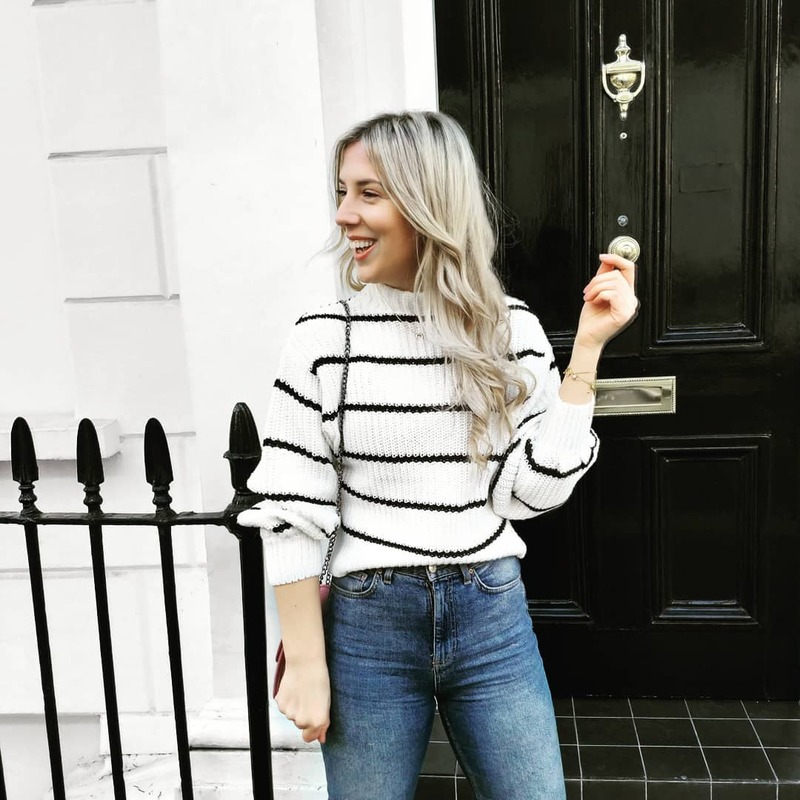 So I’ve put together a few looks to give you a little last minute inspo, as you can’t guarantee that you’ll be lucky enough to receive the right outfit that day (unless you’ve seriously prepped your boyf/fam in advance). 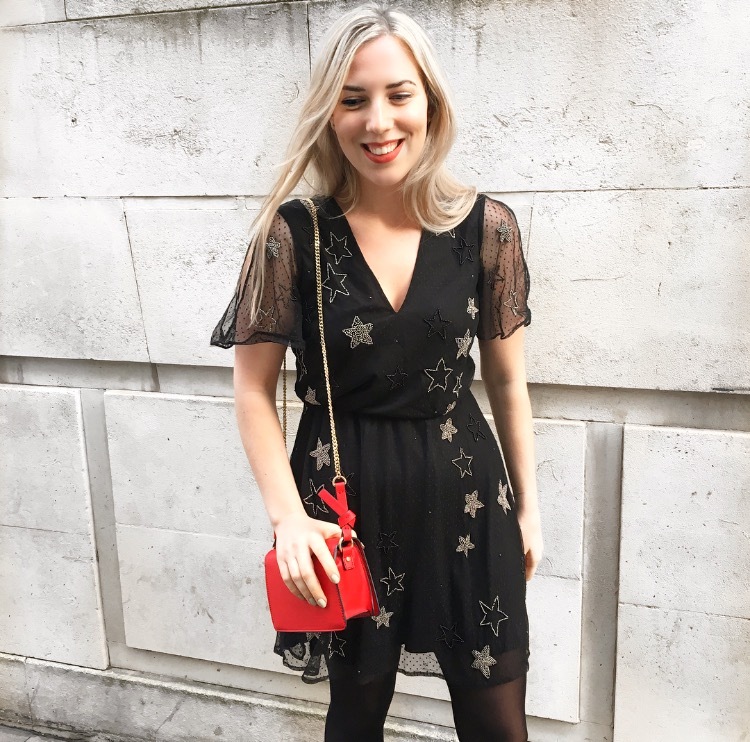 Embellished with gold and black stars, this LBD is super versatile, with the right amount of sparkle and glitz to work for a dressy dinner with family and party games with your little cousins. An easy to wear throw-on-and-go style you can wear it with opaques and block heeled boots, heels or your new Christmas slippers. 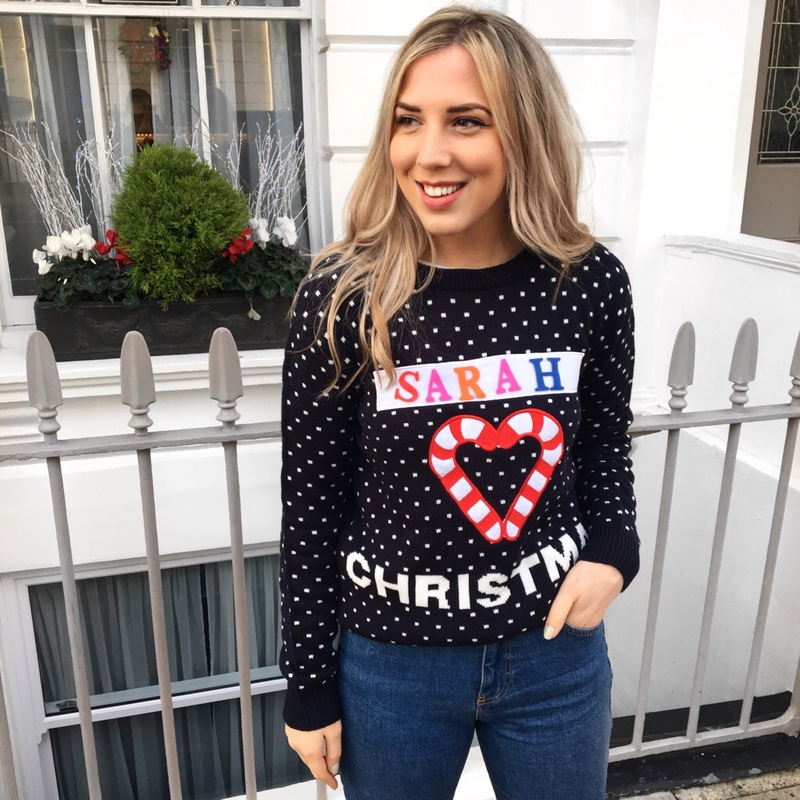 Personalised Christmas Jumper, Primark - see more here! If, like me, you love a novelty knit then there’s no better time to wear one than Christmas Day! My mum has acquired so many that I’m sure she’s got enough to wear a different style for everyday in December: cosy and snug the more ridiculous they are the more Christmas cheer they seem to bring! Pair yours with jeans for a dressed down look. 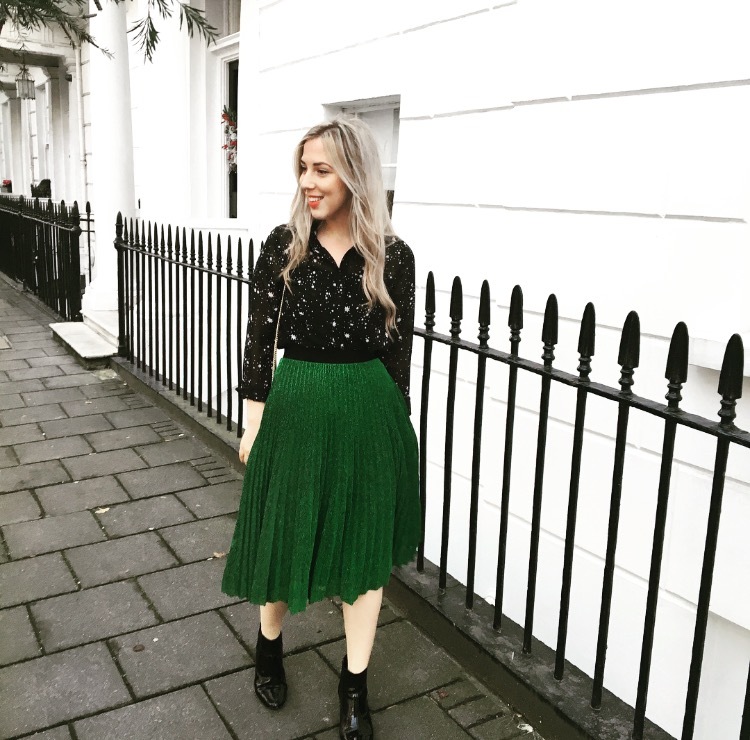 Nothing shouts Christmas quite like this pleated green, glitter skirt from Next. It’s literally the most festive thing I’ve seen all season long. You can commit to Christmas day and team yours with a Christmas jumper – or, go for a fashion-friendly shirt or plain black knit. Opt for a style with an elasticated waist.